As a student or a trainee, you may be quite busy with study and work. “I don’t have enough time to learn more.” “the current study methods are too stiff.” Complaints like these are heard a lot. Then how will you change this situation for more flexible study? Learning through mobile devices, professionally known as mobile learning, or mLearning is a good choice to improve your learning efficiency. This innovative form of study had become a hot topic in recent years. Mobile learning can take place in any location, at any time, including traditional learning environments such as classrooms as well as in workplaces, at home, in community locations and in transit. In this way, time will be fully used for learning. You can store any knowledge according to your own needs. 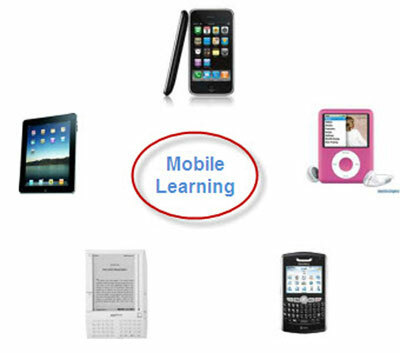 Mobile learning makes a private learning space; therefore you needn’t always have to follow the others’ pace to study. The mobile devices support more and more forms of knowledge: videos, audios, Flash, etc. some even enable users to surf the Internet directly. Mobile learning is based on new technology while the traditional courseware can also be shared with the help of some other easy-to-use tools. For example, students can view PowerPoint courseware on mobile devices easily after converting PowerPoint to video with PowerPoint to video converter. Mobile learning brings benefits to learners; then you may ask how to take out this learning form efficiently. Obviously, this kind of learning is based on mobile devices which flourish in the market. Mobile devices are convenient to take and easy to get. You can choose any portable or handheld device which is suitable to your own use. These devices can provide functions for dictation and sound recording, taking and reading notes, storing files and photos, and listening to audio books and newspapers, too. Cell phone is the most commonly used mobile device; iPhone, Blackberry,etc. have been popular for years; iPod, Kindle and iPad are quite hot recently, and they can also be excellent mobile learning tools. Students, trainees or anyone who want to learn more need to get more time and more convenience to make improvement. Mobile learning, the powerful booster of study, brings learners good chances and helps “make” time. Learning is not only in classroom, but also can be carried out efficiently anywhere and anytime. Thus you, whether a student or a learner in some fields, can get more freedom of learning content and time to enhance your study.